January is National Thyroid Awareness month, and many women do not realize that pregnancy has a profound impact on the thyroid gland. If you are pregnant or thinking of becoming pregnant, it is important to understand the function of the thyroid, thyroid-related conditions and nutrition that supports a healthy thyroid. Similarly, all pregnant women should be verbally screened at their initial prenatal visit for any history of thyroid dysfunction. 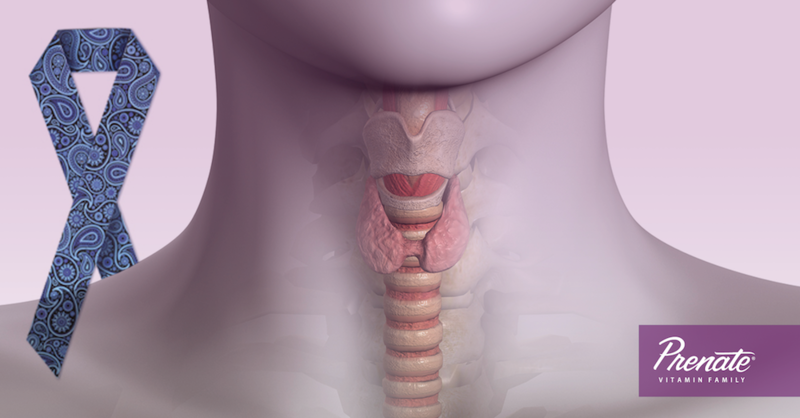 The thyroid gland is a butterfly-shaped gland that is about two inches long and located in the front of the throat. It uses the iodine in the foods we eat to make two primary hormones: triiodothyronine (T3) and thyroxine (T4). These hormones regulate the body’s metabolic rate, heart and digestive functions, muscle control, brain development and bone maintenance. During the first trimester, a developing baby is dependent on the mother for production of thyroid hormones.1 In the second trimester of its mother’s pregnancy, the baby’s thyroid begins to produce thyroid hormones on its own.1 However, the baby is still dependent on the iodine from foods that mom consumes, as it’s essential to proper thyroid function. In addition to discussing prenatal nutrition with your health care provider, it’s recommended that every pregnant woman have a verbal screening at her initial prenatal visit for any history of thyroid disfunction.2 If any of the following risk factors are present, additional screening or blood tests may be necessary to evaluate thyroid hormone levels and function. Hormone therapy may be recommended for women who discover their thyroid levels are elevated or low. Pregnancy is possible for women with thyroid imbalances. 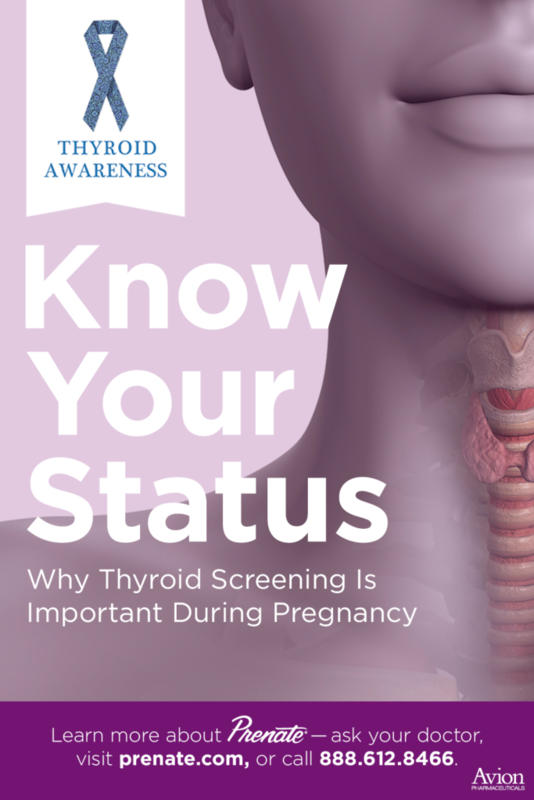 If you are recently pregnant or think you may be at risk for thyroid dysfunction, talk to your doctor about the best course of action for your body and situation. REFERENCES: 1. American Thyroid Association. Thyroid Disease and Pregnancy FAQ. Retrieved from https:// www.thyroid.org/wp-content/uploads/patients/brochures/Pregnancy_FAQs.pdf?pdf=Pregnancy-FAQ on January 2, 2018. 2. Alexander EK, Pearce EN, Brent GA, et al. Guidelines of the American Thyroid Association of the Diagnosing and Management of Thyroid Disease During Pregnancy and Postpartum. Thyroid. 27:3. Retrieved from http://online.liebertpub.com/doi/pdfplus/10.1089/thy.2016.0457 on January 2, 2018.